The business of lending has been around for thousands of years, but has evolved in its application, and currently faces significant technological, regulatory and environmental challenges. Warren Buffett may profess that “banking is very good business if you don’t do anything dumb”; however, in Asian private credit, a less inert and more proactive, hands on approach is required to facilitate successful underwriting. Indeed, commercial banks remain the largest purveyors of loans to companies, but we note that alternative fund providers are playing an increasing role in this space, particularly in complex, non-traditional situations requiring special, structured funding solutions. Critical to success is to have end to end capability in the business, from sourcing deals, managing the relationships and ensuring ongoing debt service, to finally crystallising value and investment returns via deal exits. This capability is particularly essential in Asia, given the importance of relationships in doing business, as well as the diversity in the credit and regulatory environment across the region. 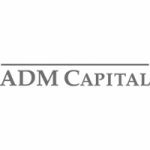 ADM Capital can claim a high level of success in this regard, largely underpinned by our established presence in the market since 1998, our reputation as a friendly lender and our deep experience investing across credit cycles. At ADM Capital, we have largely sourced our own deals over the last 5-7 years, and seek to be amongst the largest, if not the only lender to the companies we invest in. We have found this to work well – other people’s deals do not give us the control we seek to structure our investments, monitor company performance, impose good governance practices on borrowers and effect course correction over the tenor of the loan, if needed. 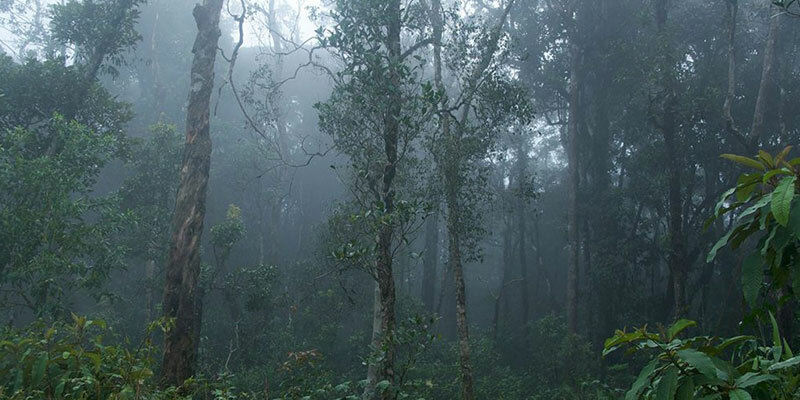 Since we are sector and geography agnostic, deal sourcing is arguably more challenging. In this regard, our longevity and reputation in the business has helped in that we are well known, have strong relationships that keep giving, and are trusted as a funding source particularly when borrowers are keen to maintain confidentiality or need the money urgently to capitalise on acquisition or other investment growth opportunities in their businesses. Simultaneously, we also actively identify disruptive trends or sectors ‘in play’ to find investing opportunities that require confidentiality or are time sensitive. ADM Capital’s Asian Investment Advisory Committee evaluates more than 250 opportunities per year, with only 10-15 being allocated to our portfolios. Below is the breakdown of the source of our deals over the last 3 years, highlighting that most of our transactions are sourced from our past borrowers or other ADM Capital relationships. A large part of our successful investment management process consists of our management of relationships to ensure that debt service is current, and that various risks including credit and environmental, social and governance (ESG) risks are minimised. We do this via the strong and ongoing relationships between the investment team and the borrower, and by establishing checks and balances, including cash flow controls, ESG reviews, board positions and protective covenants among others. Most of these measures seek to maximise the willingness of the borrower to make their debt service commitments. Sometimes, if the ability of the borrower is an issue, we may decide to extend a loan, but will typically also negotiate improved deal terms in exchange for our flexibility. For example, one of our recent investments involved a loan with one year’s maturity to a real estate developer in Thailand that was in the business of land aggregation and basic infrastructure development along a highway connecting the central and north-eastern provinces. Upon maturity of the loan, given the poor market conditions at that time, the borrower would have needed to sell off his non-core assets at fire sale prices to repay the loan. We were comfortable extending the loan to this borrower due to a combination of reasons: 1) we had previously successfully dealt with him in a past transaction, 2) the Thai real estate market typically bounces back quite sharply and dramatically after a downtrend, and 3) the borrower was fulfilling a service niche that was in demand, and therefore business was assured. We extended the loan by 12 months and improved our returns by 1% in this case, successfully exiting the deal at IRRs above our targets. Our track record and market reputation also allow us to access a diverse pool of collateral that businesses and borrowers consider sensitive. ADM Capital structures transactions with collateral cover of at least 1.5x the value of the loan. Assets are chosen based on how strategic or important they are to the borrower; not necessarily only the plant and machinery being financed. We have found that personal assets of the promoter are also valuable collateral, particularly if they happen to be property assets in developed markets – a common trait among Asian borrowers. In other instances, we have used our strong relationships with borrowers to identify new investment opportunities. Admittedly we are more expensive than traditional financing channels, but past borrowers nevertheless have preferred to approach us for the advantages of speed, discretion and flexibility in our structuring approach. Any veteran of private investing will agree that it’s the investment exits that make a manager. Whilst private credit investments are supposedly self-liquidating due to their finite maturity, exiting an investment is not always straightforward. How is the investment going to be refinanced? Is there any equity associated with the investment? When should we cut to the chase and harvest an investment vs. extending the maturity? These are just a few of the questions that we deliberate upon for each investment in the portfolio. ADM Capital’s 19-year track record and experience allows us to exercise the appropriate judgment in optimising returns. Since 2004, we have completed 126 investments across 16 countries in Asia. More importantly, we have fully exited from 104, achieving a realised gain of ~USD496m. Below is an overview of our exit methods across our Asian investments since 2005, clearly illustrating a minimal dependence on capital markets. 1) Diverse and Robust Pipeline: Being sector and country agnostic pays rich dividends for ADM Capital – even if some of our geographies are running dry with no deals, we can explore other markets for ideas. For instance, South East Asia did not have investable deals in 2016, but we are now finding interesting opportunities in Indonesia and Thailand, and have made an investment in each jurisdiction this year. When China was going through a corruption crackdown associated turbulence in 2014, we deferred investing in the country and instead upped our investment in South East Asia, including the Philippines and Thailand, as well as some of the frontier markets. 2) Capitalise upon lack of Corporate Funding via Traditional Channels: We have been able to capitalise on cross border opportunities to help finance companies unable to access traditional bank financing, eg. Financing tech sector projects such as Project Joy, and the acquisition of an overseas recreation facility by a Chinese private equity fund (Project Skyride). In both these instances, local and regional banks in both the Acquirer’s and Target’s jurisdictions were unwilling to finance an acquisition across borders they didn’t understand. Other borrowers who didn’t have access to conventional financing included the owner of a vast silica deposit whose product acts as a substitute/supplement to traditional fertiliser (Project Parker). We also try to identify opportunities that solve ongoing business, social or environmental needs eg. retirement home projects for ageing societies (via Project Gilmore in Australia). Another trend that has become quite popular of late is that of project sponsors buying back stakes from other equity shareholders (eg. Project Rock in Indonesia). All these trades attempt to provide financing solutions in situations facing good business prospects but with limited access to bank financing. 3) Supportive Macroeconomic Themes: Investment themes remain very supportive of Asian private credit. Cross border investing, consolidation of weaker players and stressed assets by stronger ones, company sponsors buying back stakes from other minority shareholders, financial infrastructure platforms in frontier markets, opportunities arising out of marketplace disruptions, B2C logistics, data centres, improving the scale and efficiency of agriculture and food sectors, and changing government priorities in promoting consumption, improving social safety net and environmental sustainability, are but a few of the needs that cannot be met by traditional financing channels, creating opportunities for private credit. Asia Pacific GDP is expected to continue to grow at a rate of 5.5% in 2018, driven in large part by emerging Asian economies. In this context, we have a strong, self-sourced deal pipeline of circa USD1.5bn across developed and emerging markets, in a wide variety of sectors including hotels, technology, real estate, consumer services, health care and food products among others. 4) Ability to crystallise value through exits: In 2017, we continued to achieve high risk adjusted gross returns above 20% from various private credit investments. This is due to a combination of factors, including good credit selection and structuring, with multiple and diverse types of collateral protection and equity upside features. We built on our strong relationship with the borrower to negotiate two successive deals with Project Gateway in the Philippines. We capitalised upon the lack of share-backed financings available to the sponsors of Project Heart, to finance their increase in equity stake in a health care business in Singapore. In Project Joy, we took advantage of the disruptive trends in the marketplace, by financing an opportunistic acquisition in an “asset light” technology sector that typically finds it difficult to find traditional funding, but at the same time is making handsome returns on its investments. 5) Keeping the Portfolios Fresh and Dynamic: Private credit benefits from shorter holding periods and less of a J Curve impact than private equity, allowing us to recycle our funds faster and keep the portfolios fresh. Furthermore, we structure our payouts such that we are not dependent on any single exit mechanism – typically we get paid out through a combination of cash flows, refinancing and strategic sales. For instance, amongst the deals we exited in 2017, Project Joy was paid out with asset sales proceeds. Project Gateway was sold as an entire business whose new buyer repaid our loan. Project Heart was refinanced by a lower cost traditional bank option. Strong relationships, robust underwriting standards, and the ability to capitalise on disruptive trends and sectors in play at any point of time are important to generating consistent returns. As such, our top down approach of sector selection, combined with the bottom up approach of individually identifying each opportunity on its own merits, helps to generate consistent, idiosyncratic and uncorrelated returns that are immune to incremental changes in interest rates or capital cycles, and therefore are true alpha. As such, ADM Capital has succeeded in generating investment IRRs of 15-17% consistently over the last 5-7 years by pursuing this strategy, and can confirm zero defaults over the same period.